I have read the report of the Uganda Human Rights Commission on the way Bobi Wine was arrested and tortured and it is disturbing. He was not at the scene of the incident where the president’s convoy was pelted with stones. The SFC soldiers who arrested and tortured him found him in his hotel room, more than an hour after the incident. According to the UHRC, Bobi Wine spoke with difficulty, could not sit properly and was aided to walk. When SFC soldiers entered his hotel room, they hit him with an iron bar, crushed him under the weight of their boots into unconsciousness. This is unacceptable. I am now suspicious that SFC soldiers broke the windscreen of the president’s car to justify their killing of Bobi Wine’s driver and his brutal arrest and torture and the violence they inflicted on the people of Arua town. I am even more suspicious that the guns allegedly found in Bobi Wine’s hotel room were planted there by security organizations to justify their wanton acts. I call upon President Yoweri Museveni to order the arrest and prosecution of the soldiers involved in this ugly episode. There is no justification whatsoever for SFC soldiers to behave like Idi Amin’s soldiers. This is 2018 for Christ’s sake. Doing nothing will only show Museveni tolerates this behaviour. Let me make one thing clear: I do not agree that civilians, however angry they may feel, should pelt stones at the president’s convoy. Leaders like Bobi Wine need to tell their supporters this in plain language. Indeed I call upon Bobi Wine, Mugisha Muntu, Kizza Besigye, Kasiano Wadri and others to condemn those of their supporters who threw stones at the president’s convoy. If SFC soldiers shot and killed 20 civilians throwing stones at the president’s car, I would defend them. I would risk the wrath of the mobs that Bobi Wine leads even if they threatened to lynch me, which is what I expect of them. When someone is guarding a president, and they have a split second to make a decision, they cannot assume someone throwing something at the president’s car is holding a stone, which is harmless. They must assume it is a grenade and should shoot such a person immediately. This is not about Museveni but the president of Uganda. Bobi Wine has potential (and God forbid) to become president. His bodyguards would act exactly like that. He should, therefore, tell his supporters how to behave or condemn their actions when they don’t listen to him. This is critical for him to distance himself from their hooliganism. I do not share Bobi Wine’s politics of demagoguery. I don’t think he has any vision for Uganda. I find his empty sloganeering counterproductive. But I would die defending his right not to be tortured. SFC cannot claim to have acted in the heat of the moment when he was not at the scene. Their assault on him was premeditated, coming more than an hour after the president’s convoy had been pelted with stones, and when the president had already left safely on his helicopter to Entebbe. 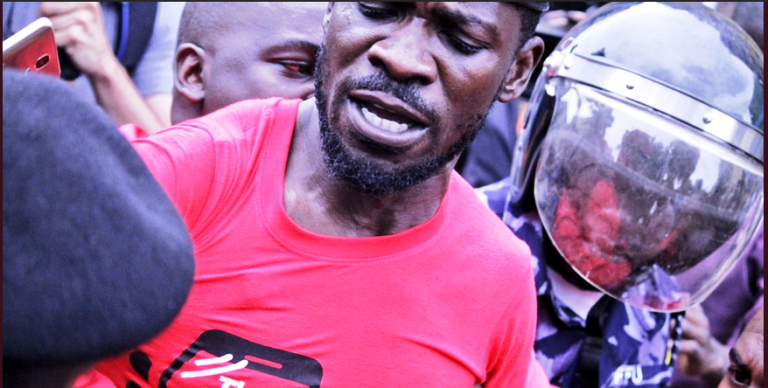 Ugandans who believe in liberal values need to expose Bobi Wine’s radical extremism and his blind pursuit of power without any values underpinning it. His politics of mobilizing popular anger without organizing it is a danger to our country. His lack of an alternative policy vision only adds to the disaster I am sure he would create if he and his radical extremists got power. I am also aware that if Bobi Wine and his radical extremists captured power they would not allow me the freedom to criticize them. He and his supporters don’t stand for anything. They stand against Museveni. They are an intolerant and uncouth group seeking power to settle scores with their opponents. 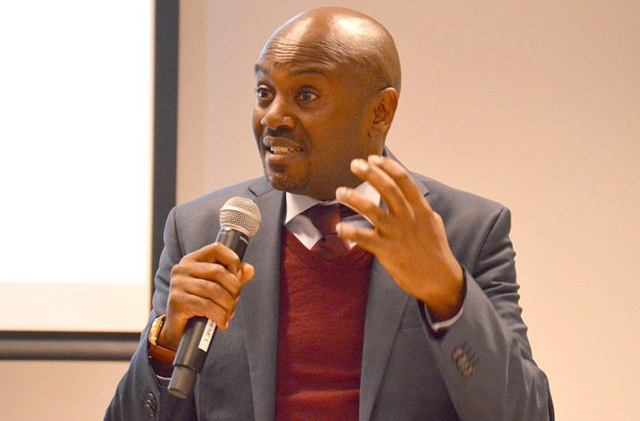 To this extent and in spite of his dictatorial tendencies and the occasional brutality of his security apparatus, I find Museveni a more liberal-minded, enlightened person under whose leadership dissent against his government has to a large degree been allowed some space. So I condemn Bobi Wine’s torture and defend his right to freedom to organize even though I totally disagree with his politics. I do this well knowing that Bobi Wine would NEVER defend my right to freedom to organize because he and his radical extremists are fascists hostile to freedom and liberty. We are lucky they don’t have control of the state’s coercive apparatus. If they did they would turn our country into a concentration camp ruled by a Gestapo.